Used prop that was on a 115 Yamaha outboard. Some scratches on blades, but will not affect the performance. A great upgrade from aluminum. A list of applications are attached on a photo of the box. You will need to purchase a hub kit for your specific marine engine. Donzi 18 Classic 2+3 - Truly a one of a kind! For your consideration is presented a one of a kind Donzi Classic 18 2+3 which the owner took time to make the ultimate 18 Classic 2+3. 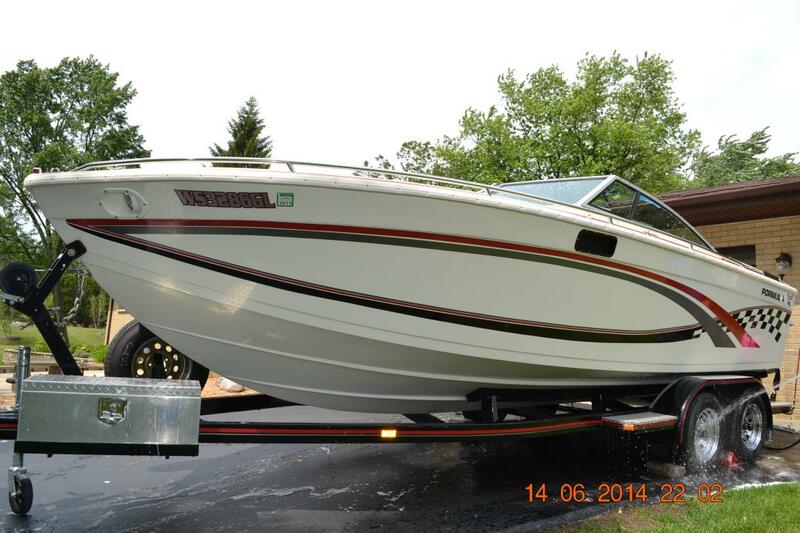 The boat had substantial upgrades in 2013, 2014, and 2015. Pictures attached: Mechanical: 1. New Gauges and wiring 2. New LED switch panel and interior lighting 3. New Bilge pump and switch 4. New Exhaust manifolds 5. New Ignition / Distriburor 6. New tires on trailer 7. New LED trailer lights 8. New Batteries mounted between engine stringers with selector 9. New Alpha One Outdrive (upper and lower units) with Stainless Quicksilver Prop 10. A/C power for charging phones, etc. Interior and Seating 1. New Complete Deck Sunpad that can lay out 3 adults with head bolster 2. New Engine cover pad for rear seating 3. New rear split 3-way seat pad 4. Battery box converted to a 10 gallon beverage cooler 5. New 2014 - The most incredible stereo on the water - 3 amps, sub-woofer in the nose, 6 speakers, capicitor - all wired to install board on engine bulkhead professionally 6. Swivel seats mounts 7. New Donzi-Red carpet 8. 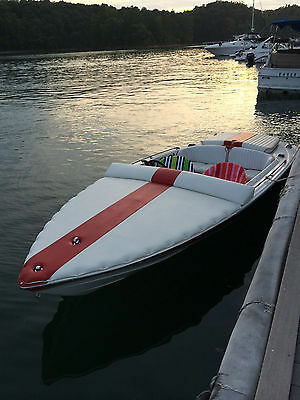 Brand new cockpit and full boat cover - color matched white with Donzi red strip (this alone was $2,500) 9. New White color matched rub rail Performance: With the current prop and trim tabs, the boat will run around 65mph. 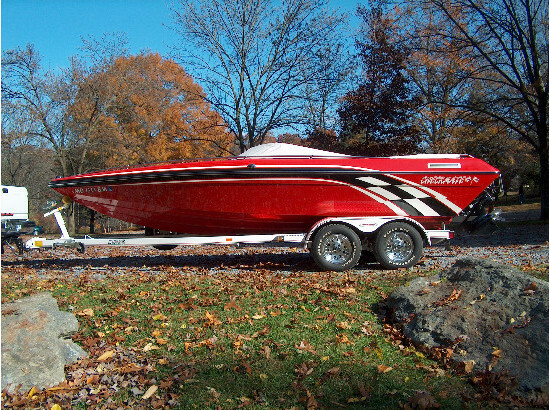 This boat gets attention everywhere it goes, and is the ultimate 18 foot Classic. Unlike other boats that have limited seating, this boat can easily entertain 5 adults and it set up to drop anchor in a cove and give everyone a place to enjoy the day (not just get there). 1998 Sea Ray 270 Sundancer cruising boat Hello everyone this is chris baliban with seven seas marine! 6096680169... Here is a newly listed 1998 270 Sea Ray Sundancer powered by a single 7.4l 454 hp mercruiser with bravo III drive and stainless prop... Only 685 hours on this 16 year old boat in great condition!! Huge 9'2" beam!! !Please refer to pics and video below to really take a look at this vessel. Video: https://www.youtube.com/watch?v=C6UPPEctojE This boat is loaded with great features as follows: shore power, air conditioning and heating, fresh water tank, holding tank, wrap around seating with outside lounge, trim tabs, plenty of storage, large sized super clean bathroom with vacuflush toilet, full sunbrella enclosure, kitchen with sink, microwave and brand new norcold refridgerator, electric range, 2 sleeping berth areas, 2 interior dinette areas and 1 exterior dinette area, gps and new stereo with cd changer and speakers, spotlight, windlass , and a nice wide beam!! You must see this vessel!! Electronics on this vessel are as follows: Furuno gp1850d color gps/plotter, fishfinder, Ritchie compass, spotlight w joystick, lowrance 3500 digital depth gauge, cobra marine vhf, blowers, trim tabs, quicksilver 3000 throttle, brand new clarion m303 headunit Bluetooth, Sirius, and Pandora ready, clarion m635 digital audio 6 disc cd changer, clarion remote, and a smxII thermostat!! All the bells and whistles! 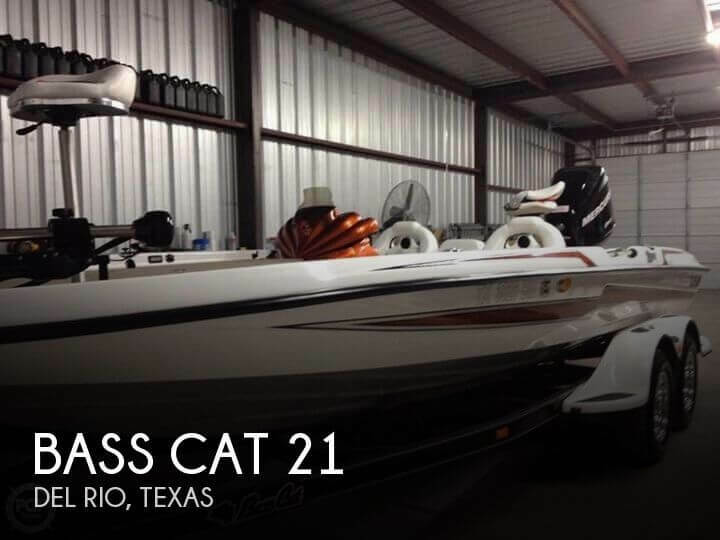 1995 Chapparal 2135 Cuddy Cabin 2013 Trailer Included "Motor Runs Great purr's like a kitten, Comes with Garmin Color Depth Finder, Garmin Color GPS, 5 Life Jackets, 2 Props, 1 aluminum, 1 Brand New never used Stainless. All Gauges work and light. Comes with all safty equipment for coast guard. 3 Battery's, 4 Bumpers, 2 Anchor's, Porter Potty. Ready to play and in joy. Trailer is 2013 with disk brakes. 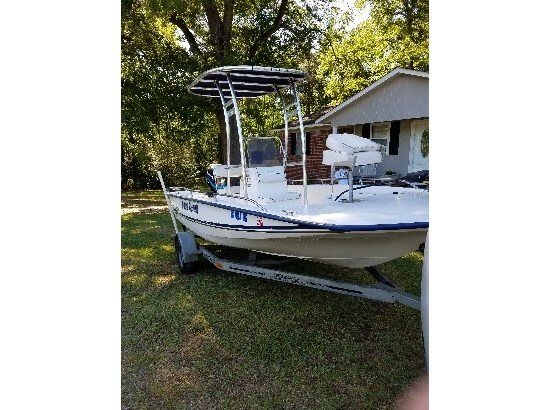 "Boat: 1995 Chapparal 2135 21.5 ft, Mercruiser 350, 260 HP Boat is in great shape and ready for the water Garmin Fishfinder Garmin GPS Bikini Top Recent works include: Motor: -Change Oil (Quicksilver Marine Grade) -Change oil filter (Marine Grade) -Change fuel filter -Change spark plugs (Stainless steel Marine Grade) -New Starter -New FlywheelOutdrive: -Change Gear Lube -Grease Prop Shaft -Replace O-Ring, replaced lower unitHave Receipts for the works listed aboveTrailer: -Magic Tilt TXP2460B -Brand new (purchased 2013), have receipt -Twin axle -Surge brakes -Length: 23 ½ ft FREE! Sellers: Add a FREE map to your listings. FREE! <b>Dealer serviced with receipts to prove it. 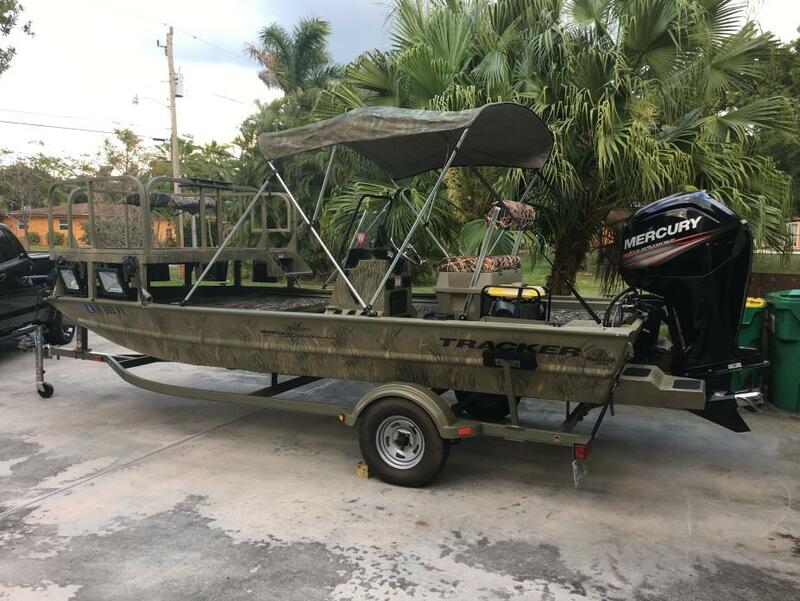 </big> New Dealer Installed Mercruiser long block with Factory Warranty till 7 / 2015 37 HOURS ON ENGINE Boat itself is a 2002 242 CR with twin swim platforms with telescopic stainless fold up ladder. This adds about three feet of useable space to the back area. In the water ready to go. The canvas looks brand new Elegant modern style, Coast guard package lines flares and safety equipment. Twin Stainless Quicksilver prop ‘s with Bravo outdrive ( Duo Prop Setup) pops up on plane great. Garmin 480 chart plotter brand new upgraded anchor and heavy duty Rhode. Refrigerator stove aft cabin canvas upgrade digital depth am FM CD player with marine speakers. Stand up Bathroom with door ( fifth picture) Bathroom has shower and sink . Boat slip thru end of October ( must provide proof of insurance to association to keep boat there. It is a private club. Minimum insurance liability rules apply. Dealer service from Great Bay Marine In Babylon. Frank is a Crownline / Robalo and Steiger dealer. 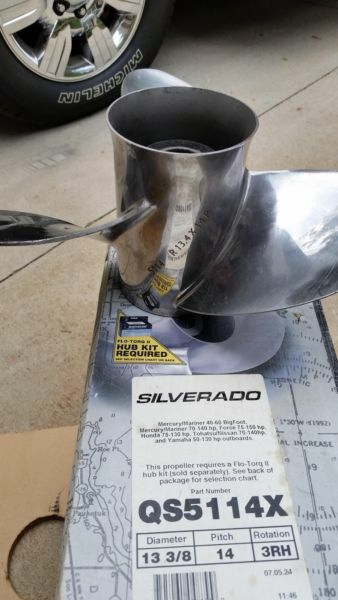 <hr> <li>Bullet Points</li> BULLET POINTS •New Mercruiser 5.7 liter Under Manufacturer’s warranty till July 2015 •Bravo Outdrive •Twin Quicksilver stainless steel props. (Duo Prop ) •Halon fire system •Twin Sleeping areas (separate Aft cabin) •Halon System •Microwave •Stand up bathroom / Shower area with door •Refrigerator •Stove •Shore Power •AM/FM CD stereo •Complete coast guard package. •Docking dock space until Nov 10 th remainder of season ( must provide proof of insurance ) •Dock lines / shore lines •Complete coast guard package plus docking lines •Garmin GPS 480 chartplotter. •Upgraded Brand new Anchor Rhode assembly. •Walk through windshield •Camper canvas. •Dual Bimini top as she sits in the first two pics. •Loads of storage • Crownline is an aft cabin cruiser hand built. It is a premium boat similar to Chaparral signature or the Searay Sundancer . Better than both boats in my opinion. If you check the blogs you will see a very high rating on customer satisfaction . The quality is equal to that of a regal or cobalt.